Racked and ready - FAST! UK dedicated servers - ZERO hassle. 100% Fully managed servers - We take care of all your dedicated servers. We are finding that 8/10 customers who are asking for a dedicated server do NOT actually need one, but have simply been thrown off an oversold shared server elsewhere, and would actually have no problems at all with our normal undersold shared hosting. If you offer web hosting services or run sites which require high uptime and server resources, a dedicated server will be perfect for you. All servers include a dedicated port on our Cisco Switch, highly skilled technical support and your own dedicated account managed for the life of your server. Many customers needing a dedicated server, do so because they want to host heavy duty applications or demand a completely customised enviroment. Fully managed DNS by us. Rapid transfers from other servers in our network. You can also choose a stand alone server which gives you the option to setup your own DNS cluster as you add more servers later and also allows you to have full root level access to your server. 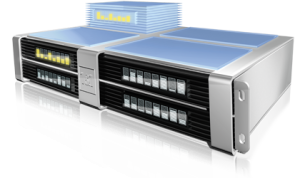 UK Dedicated Servers hassle free! All of our UK dedicated servers are fully managed and come complete with 24/7 support, dedicated account manager, UK telephone support (8am-Midnight), multiple location and multiple software server monitoring and real-time bandwidth graphs and more. There is no minimum contract on dedicated servers and we use nothing but Dell servers and host them @ the new Centro Data Centre in Hemel Hempstead, Greater London. We do not try to be the cheapest supplier of dedicated servers, as there are many companies in that market using celeron processors, cheap memory, non redundant bandwidth and low grade server facilities or who may leave you in the dark in times of trouble. Fully Managed servers - Total peace of mind. At WESH UK, we only provide fully managed servers to ensure reliable server setup that you can depend on and to eliminate the need for in-house IT staff to manage your IT.